Many gardeners like Alan Titchmarsh still use peat. Alternative kitchen gardener, Emma Cooper, explains the devastation caused by digging up peat bogs and suggests a range of practical alternatives to make our gardens grow. She says, "The best place for peat is in the ground." If you want to pick a fight with a gardener, either tell them you follow a No Dig regime, or that you don't think they should be using peat. One or the other is almost guaranteed to get them revved up for a fight. I don't dig and I don't use peat, so I often find myself on one side of a debate, but the question of whether we should be using peat has been on more people's minds in the last couple of weeks. Alan Titchmarsh has gone on record saying he still uses some, and will continue to do so until there is a 'perfect substitute' available. He's not alone – there are other well-known gardeners and garden writers who say the same thing, and the problem is that they're sharing their habits with the population at large. Why is it a problem? Because peat belongs in the ground. Essentially it is a special form of partially rotted organic matter, which has formed over long periods of time in the sterile, acidic and waterlogged conditions of peat bogs and fens. Left alone, about 1 mm of depth is added to a peat bog every year - so if you're digging down 10 metres you're going back 10,000 years or so into history. Peat is being extracted far faster than it's being replaced - it's not a renewable resource in our lifetime. And the wildlife that depends upon it suffers. So why do gardeners use peat? According to the Wildlife Trusts, the use of peat in horticulture was not widespread before the late 1950s. Gardeners back then favoured soil-based potting mixes, but also used coir (which is a waste product from the coconut trade – renewable, but not local). Only after a concerted marketing effort on the part of the peat producers did peat become such a ubiquitous garden staple that even those of us in the know struggle to avoid it. An old-school gardener will tell you that peat is stable, sterile and holds water. That's why it's used in compost mixes and seed composts. It has to have 'wetting agents' added. Now I'm fuzzy on what they are, but they're there because once you let peat dry out it becomes pretty much water-repellent and you'd struggle to get it wet again without some help. I am no doubt fortunate, in some respects, to have started gardening at a point where peat-free composts are readily available. They're not all good, and they're not all suitable for all uses. But I learned to garden and grow with peat-free products and my garden thrives without them. The organic matter peat provides is easily replaced with composted waste products. The question is, now that we know what problems the destruction of wildlife habitats causes – why are we still doing it? Why are people still putting peat products in their trolley? Perhaps it's the same 'out of sight' mentality that prompts our ongoing issues with the food chain - where we can happily chow down on a chicken that is only a few weeks old but oddly the size of a turkey. We can buy food from the other side of the world, then chuck it in the bin a week later because we didn't really want to eat it. Until someone points out the glaringly obvious environmental impacts of our actions, we remain oblivious. Perhaps it's a matter of priorities. We pick up the cheapest option, not really caring that birds, butterflies and dragonflies will be left homeless, just as long as our dahlias are bigger than next door's. Perhaps it's a generation gap – the gardeners who use peat will continue to do so, because swapping to a new product requires learning something new: how to garden without peat. It's not an instant, easy, transition. It's a re-education – a new skill. I have also encountered gardeners who justify their peat use by explaining that the amount used in horticulture is minuscule compared to the amount burned in power stations in the countries who still have sizable peat reserves left (we don't). This smacks of a juvenile, playground response – 'he started it!'. As rational adults we should take responsibility for our actions, which includes making informed choices. Although birds, butterflies and dragonflies won't engender much of an emotional response from many people, we also need to be looking at our peat bogs and fenlands with an eye towards self-preservation. Peat, in its natural environment, is a massive carbon sink. When we dig it up, dry it out and burn it or use it in the garden we're adding a considerable amount to our carbon footprint. Last year a spokesman for the RSPB (quoted in the Independent) suggested that ditching our peat habit would save the same amount of carbon as taking 350,000 cars off the road – and it is far more easily achieved. Rather than willingly and unnecessarily participating in habitat destruction, and hurtling towards irreversible climate change with our heads in the sand, it's time we all made the choice to garden without peat. Make your own compost – you'll find that most plants prefer it anyway, and it certainly has more 'oomph' for a longer period. Use peat-free mixes where you need stability, fine texture or sterility, and invest in some nice modules so you won't be tempted with those little peat pellet things. Coir has its uses, and you may find it works for you – but it has likely come from many miles away, so bear that in mind as well. Emma Cooper is a garden writer and the author of the Alternative Kitchen Garden. For a signed copy please visit Green Shopping and place a request with your order. 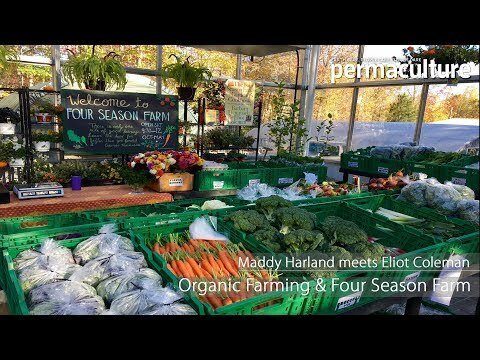 Emma also makes the popular Alternative Kitchen Garden podcast. The picture should be correctly attributed and linked as below http://www.geograph.org.uk/photo/1449648 It will then become clear it has nothing whatsoever to do with the peat debate. John Walker said: "Another classic excuse for why we shouldn't stop destroying lowland raised bogs (or digging up gravel, etc) that was flung at me only today is that if we didn't, then we wouldn't have any 'nature reserves'. Hmm, interesting thinking indeed. This stuff seems to emanate from presumably white males of accumulated years." What a fatuous and offensive comment! Where do you think that gets your argument? @hogyn So 'the pictures wrong' = flaw in the 'debate'? Human error, perhaps. "What a fatuous and offensive comment!". Please rest assured that my comment is based on actual observations. I did not suggest it applied to all white males of accumulated years, but sadly that is where the bulk of it does come from. If you want to read 'fatuous and offensive comments', I suggest you go onto some online gardening forums and look at what those who defend peat use have got to say, even under an avalanche of scientific facts. Having got fed up with John Walker's inane comments on one forum I find I have to follow him round to counter his misquotations, fatuous and offensive comments (I second hogyn). First there is no mention of the fact that William Sinclair applied for a licence renewal before it expired and the Council are not going to respond until at least 6 months after the expiry, more a case of bad regulation than bad business. Second it is self evident that if Sinclair was not a profitable business, not entirely peat based it has to be said, it would not have the resources to develop New Horizon. Who is he expecting to do the job? Life and the environment is a balance, it is the net effect that matters. If more carbon is captured by using peat than is released by its extraction that is a positive balance that does not compromise the future. In the original article Emma Cooper asked "why do gardeners use peat?" then gave an incorrect version of history to support her thesis. Potting mixes used to be made from all sorts of things and gave very variable results and there was an urgent need for standardisation and reliability. This resulted during the 1940s in the John Innes formulations that were about 25% peat. Critically the major ingredient was loam, which in itself is very variable, and as demand increased the old problem of inconsistency returned. This resulted in the widespread adoption of peat based formulations, not because of some evil marketing plan but in the name of reliability; it was a results based change. One of the problems with the peat debate is the twin reasons for reducing it being used rather arbitrarily. If we are talking carbon capture undoubtedly peat formation captures carbon but the vast majority of peat is upland peat that is not harvested so reducing the capture by lowland peat is not a significant effect. The other aspect of the carbon factor is release by harvesting. The data quoted for this seems very unreliable, even DEFRA concede there is insufficient data. The other line of argument is habitat destruction, the significance of this doesn't stand up. JW talks about an avalanche of facts, this is simply not the case. He has come up with numerous journalistic quotes to support his stance but true peer reviewed scientific papers seem very hard to come by. The often quoted output from the RSPB is seriously unsupported and when challenged they remain silent. Now for another of JW's outright lies : " Another classic excuse for why we shouldn't stop destroying lowland raised bogs (or digging up gravel, etc) that was flung at me only today is that if we didn't, then we wouldn't have any 'nature reserves" . Compare this with the actual posting : " Many nature reserves are old peat workings, gravel extractions, sand extractions, quarries and even mining waste areas. Don't mourn the loss of something as a wildlife habitat when you do not know what will replace it you may be pleasantly surprised." Then we find out with "This stuff seems to emanate from some presumably white males of accumulated years" that not only is he only on nodding terms with the truth he is an ageist bigot. In 2010 the RSPB commissioned a report by Robert Lindsay (an international authority on peat bogs) - it can be downloaded from http://www.uel.ac.uk/erg/Onlinereports.htm and is called 'Peat Bogs and Carbon'. The report is very clear that further research (as well as more standard methodologies) is required to accurately assess the carbon content of peat bogs throughout the world, and the amount of that carbon that is released during the exploitation of peat bogs (it varies according to use, whether its peat extraction, drainage for horticulture or afforestation). As a scientist myself I understand the need for more research, but there are underlying facts here that I believe speak to the need for action before we have all of the details (an application of the Precautionary Principle is required). Firstly, we know that healthy peat bogs are a considerable terrestrial carbon store. As the scientific community has largely accepted that we are pumping too much carbon dioxide into the atmosphere and risk permanently altering the climate, it would seem sensible to amend our behaviour to reduce those emissions. Preserving and restoring peat bogs seems a relatively easy win. Secondly, we know that healthy peat bogs are valuable wildlife habitats, and that our health is as dependent on biodiversity as that of any other species. It is true that many brownfield sites can be rehabilitated into wildlife reserves - but they will support a different range of species than the original peat bog. As to why we began using peat in the first place, I can only go by what I have read as I wasn't born when the practice was begun. I would appreciate references to other versions of the history - as any historian knows, secondary sources are prone to bias and cannot by themselves provide a balanced view. If, indeed, the use of peat is down to the need for consistent mixes then I would argue that while this may be considered important in commercial horticulture, it is less so for home-scale gardeners who deal with inconsistency on a daily basis. We all have to deal with different soils, rainfall patterns and microclimates. We choose different planting combinations, have different gardening styles and techniques and have different hopes for our gardens. The idea that we are dependent on standardised potting mixes for success is insulting to an army of 'amateur’ gardeners who are actually highly-skilled and knowledgeable about their local conditions. Firstly though; just to say how unfortunate it is that this debate seems to have degenerated into some-kind of trans-internet slanging-match - especially when the use of different 'screen names' makes it very difficult to relate one person on one forum, to that on another - or indeed to know whether you are reading contributions from multiple individuals, or one person using multiple ids? The initial point that I would wish to pick-up on; is Ivah's reference to the William Sinclair/Chat Moss planning application. My own understanding was that, whilst Sinclair had indeed submitted their application some considerable time ago; that application had been found to be deficient in a number of environmental areas and had been sent-back for amendment and resubmission. The consequent public consultation led to around a thousand responses being received - which clearly have to be considered - and the matter will supposedly be reconsidered in May. What however has not really been given prominence; is that (based on reports I have seen; I have not yet had the time to wade-through the considerable amount of paperwork) this is not a new application, it is an extension to an existing permission, which expired in December 2010 and placed restoration/reinstatement obligations on Sinclair. They have however chosen to ignore that restoration requirement and apply to extend the permission for peat extraction until 2025; which will apparently remove another 2 metres of peat, make effective restoration more difficult and potentially cause damage to adjoining protected sites. OK; they have their business reasons - but their original business plan must have factored-in quitting and restoring the site in 2011. The fact that they have changed their mind and that knowledge and views about peatlands have changed in the interim, does not give them the right to trample rough-shod over planning procedure, simply because the local authorities do not provide the answer they want, within their (Sinclair's) timescale. There is of course also another point that has just come to me whilst writing this (so unresearched); that should a ban on peat extraction be introduced at some time during the currency of the extended permission; they would possibly be entitled to compensation payments and (presumably) released from reinstatement requirements. Just a thought - please correct me if you know I am wrong. The second point that is confusing me; is Ivah's statement... "Compare this with the actual posting : " Many nature reserves are old peat workings, gravel extractions, sand extractions, quarries and even mining waste areas. Don't mourn the loss of something as a wildlife habitat when you do not know what will replace it you may be pleasantly surprised."" ...which as far as I recall, was made in a post addressed to me, by 'Johnboy', on the KG forum, on 3 May 2011. Given that the post by John Walker that Ivah relates that to, seems to have been made on this website, on 27th April 2011 - unless 'Johnboy' re-used an earlier post in his writings to me - it is tricky to see how these could be the same items. Perhaps Ivah would advise what I have missed? Thanks to Emma Cooper for a pleasant and rational response. I shall download and hopefully read the report. Perhaps I shall agree that despite the incomplete evidence there is enough to justify change. At the moment I find the evangelical calls for a ban a serious over reaction. The observations on the adoption of peat are partially my own, the JI part is well documented but the change to all peat is how I saw it. I speak as an amateur (with a scientific education) but I remember that the UC and similar formulations were treated with scepticism until they were found to work. Thanks to JohnT for correcting my assumption that JW was digging at Johnboy as usual - never thought to look at the dates. JB might have said the same earlier but I have not had the time to go through all the threads. I also regret the personal level this debate sinks to but unfortunately JW winds us up to it. I am not a forum/facebook/twitter junkie and the first forum I joined I used my name but since I have been more cautious - not to hide behind but to hide from the unscrupulous. Without local or inside knowledge it is difficult to get to the core of the Sinclair debate as what is published is obviously spun so perhaps we should leave it to run its course. Apologies to John Walker for thinking his odd "white males" outburst was another dig at Johnboy or me, obviously others out there see some benefits of extractions at the restoration stage. I haven't checked the dates to see if the other part was directed at me as I assumed. Geoff from the Forest of Bowland. Permaculture in Action - Free Christmas Decorations! 'Zen in the Art of Permaculture Design' is the wisdom and philosophy behind permaculture, helping us all to use permaculture design to its full capacity. "So looking back on the book, it has already changed my life. It's packed full of eye-openers and thought-provokers. It's small, not too daunting..."